When Callum's mother dies unexpectedly on his fifteenth birthday, his world is torn apart. And when he is mysteriously rescued from almost certain death, the events during the hours that follow convince him that his grief has driven him insane. His rescuer, a tiny homeless man who claims to come from an ancient subterranean civilisation, tells fantastical stories of a magical underground world. Desperate for a distraction from his loss, Callum convinces his friends to help the strange little creature return home. But nothing could prepare them for where their kindness and curiosity would lead them... As their ordinary teenage lives fade into distant memory, the friends become unwilling pawns in an adventure of deceit and treachery, where magic is bought and sold. 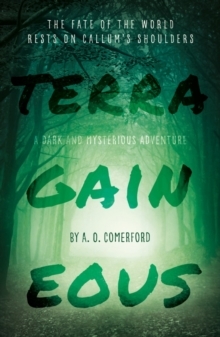 The future of Terragaineous is in their hands, and success or defeat depends on whether they live or die.